While one end of an Ethernet cable plugs into your computer, printer, laptop, or other network device, the other end likely plugs into a Ethernet switch. Switches vary in speed and in the number of ports or devices that can plug into them. You can also get managed and unmanaged switches. It is hard to believe that the device that works the hardest and has the most blinking lights is also the least appreciated, at least until it fails. Your Ethernet switch is critical to your network. Wired Ethernet devices simply won't work without it. A little consideration in buying the right switch can go a long way. 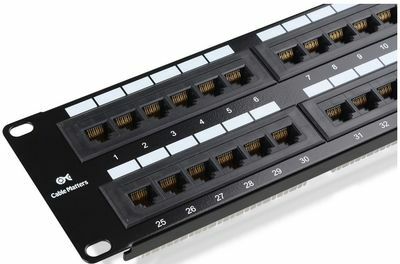 Plan for growth: Buy a switch that has two times the number of ports you actually need now. Have a spare on hand: If a switch fails it can bring your business to a grinding halt until it is replaced. Having a backup switch in the rack and ready to go can make you a hero. You can't simply go to a store and buy a switch. Generally they have to be ordered. Have your switches and routers on UPS power supplies. 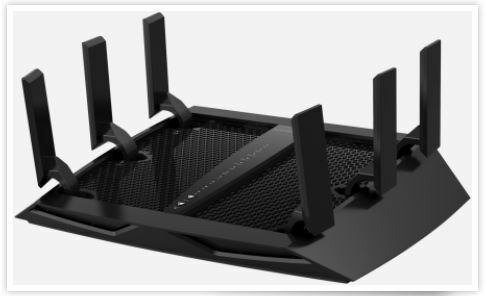 Switches and routers depend on good clean power so that your data will not be corrupted. Since they do not use much power, you can have several sharing a UPS. Get the fastest switch you can afford. 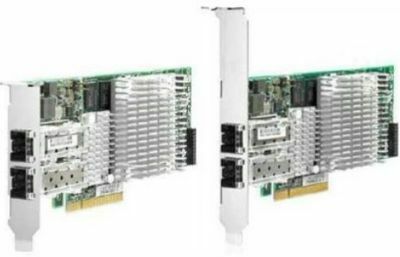 If you get 10GbE, you will grow into it. Managed switches are OK, but not worth the extra money. Network management happens on a good router these days. Computing Management, Inc. (CMI) is an Information Technology Consulting Service located near Indianapolis, Indiana, providing outsourced computer system support and consulting services. CMI services include computer and server installation, implementation, repair, support, and maintenance. We work on all types of computer equipment, networking, and software running on both Windows Server and Linux servers. Servers today may exist at your location or in the cloud. Established in 1983, we have over 30 years of Information Technology experience, installing and supporting systems all around central Indiana. Our mission is to help small and medium sized businesses manage their computing needs by taking advantage of the best available technology. We provide reasonably priced consulting services to design, build, implement, repair, and maintain business computer systems. Our suppliers have a wide selection of faceplates to meet your needs. There is nothing uglier to us than a wire sticking out of a hole in the wall. We want your wiring to look professionally installed so that it will not detract from the appearance of your overall office decore. Whether your project is large or small, we have a wide variety of cabinets that will keep your equipment safe and secure. Every equipment room is different. We will help pick out the right rack or cabinet to meet our need for a practical solution. 8 port 10GbE Switch. One port can be 10GbE uplink to other Netgear switch. 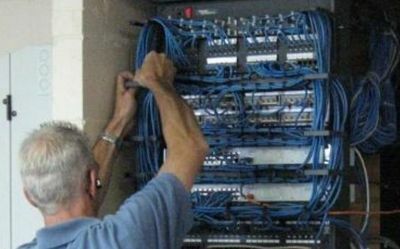 There is no better way to tame a large bundle of network cable than connecting them all to a patch panel. Every network cable contains eight wires that must be properly connected, on each end. Even small offices can have dozens of network wires. 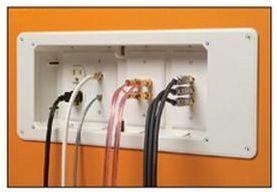 The best way to ensure that all your wiring is properly organized and connected is to use patch panels. Every wire that we punch down gets tested, and re-tested to make sure there are no mistakes or bad connections. Having your network wire terminated on a rack mounted patch panel will prevent problems and allow for easier maintenance in the future. 12 port 10GbE Switch. 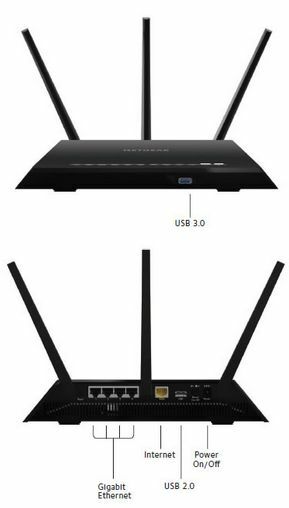 Two ports can be 10GbE uplink to other Netgear switch. 24 port 10GbE Switch. 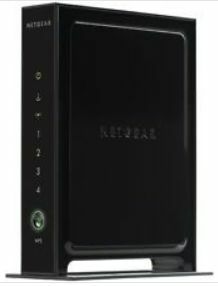 4 Ports can be 10GbE uplink to other Netgear switch. Great for simple networks or to have on hand for emergency spare switch. Our extensive experience is our biggest asset. We take the time to listen to users, analyze customer's needs, and recommend solutions that work. Whenever we install something, we make sure we do the job right, according to well established industry standards and best practices. We will only use the best available computer hardware and software that will assure success. We are used to solving problems that nobody else can. With experience in the field, implementing and maintaining mission critical computer systems, networking, and servers, we are in a position to recommend solutions that we have used before. There is "No need to recreate the wheel" every time you need a solution. We use our experience to your advantage. While we know what works and what to recommend, we also will keep you from making the mistake of investing in a system that does not meet your needs. Your technology problem may not be all that unique. Chances are other companies we work with have been through a problem similar to yours and we already know the solution. This is where our experience comes in handy. Many companies face similar problems in growth, changing technology, data recovery, or disaster management. We have the battle scars that come from solving a lot of problems over many years and we have yet to see a challenge we can not meet. We keep ourselves up to date on all the latest security patches, varnings, and various bugs that are known problems. We know how to track down error codes and search for solutions based on other peoples experiences with the same problem. There is often no need to invent a solution. By keeping up and reading about problems, vulnerabilities and their solutions, we can often prevent a problem on your system before it ever happens. 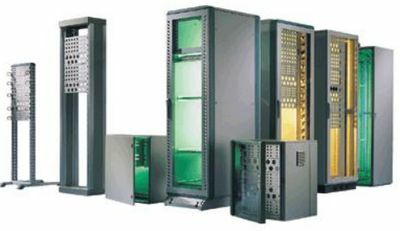 We will design and build a reliable network that meets your current and future needs. When we build a network, we look to the future and design in the capability of expanding your network to double or triple its size. We build redundancy in all our cable runs so that if a cable fails, or gets damaged, we can quickly work around the problem while it is being fixed. We will build your network with growth in mind. We know what works well for our other customers and you will benefit from that knowledge and experience. We are accustomed to dealing with the unknown. The solutions to many problems are yet to be invented. You may be on the "bleeding edge" of technology with new equipment or software that still needs some bugs worked out. We often work directly with companies like Dell, Microsoft, and Intuit in order to bring a problem to their attention and work on a solution as a team. The other type of server we commonly set up, the one that Microsoft would rather you did not know about, is called a Linux Server. Internet Mail Server with features like Spam Filtering, Virus Filtering, and WebMail. You can have an internet domain like YOURDOMAIN.COM and set up an unlimited number of mail accounts or addresses. You may be paying someone to do this now. Having your own mail server can save you a great deal of money, while also assuring that nobody can snoop, spy, or otherwise have access to the messages on your server. This is a big issue in the news these days. The programs we use to set up a Mail Server include Debain Linux, Postfix Mail, SpamAssassin, and CLAM Antivirus. If you send or receive e-mail with us @Computing-Management.com, our mail is hosted on a Linux Mail Server as described above. Internet Web Server You may be paying someone to host your website http://yourdomain.com and http://www.yourdomain.com. The price of this hosting probably depends on the size of your site and the amount of traffic or data throughput. The disadvantage to having someone host your domain, especially if they want to do it for free, is that your website may be judged by the company it keeps. In other words, your legitimate business site may be penalized in the search engines because you are sharing the hosting services on a server that may also be hosting sites of a less desirable nature. These days, if you want to have a legitimate business website, and have it perform well with search engines like Google, it is best to have your own server. We can set up a Linux Web Server and help promote your site with Google. Our Linux Web Server includes Debain Linux, Apache Web Server program, and Clam Antivirus. The website you are viewing now is running on a Linux Web Server as described above. Database Server Microsoft has their SQL Server program but Linux has their own Database Server Programs that can perform just as well. The most common of these programs is called MySQL. MySQL is now supported by a big database company you might recognize, named Oracle, and is a very capable database program. We can help you design and program a database, as well as convert and manipulate data. This may be integrated into your company website for either internal or external use. File and Print Server These are basic servers for both Windows and Linux Servers. The only difference is that Linux can do it a lot cheaper because there is no CAL's or licensing to buy. FTP (File Transfer Protocol) Server You may have been hearing a lot about CLOUD, or CLOUD Servers lately. There is a lot of hype and marketing involved here. If you need a shared and secure area to store files and make them accessable to you, or possibly to your customers to upload and download, the easiest way to do this is with a FTP server. This is one of the most basic services of Linux and again, there are no licenses to buy. There is a long, ever growing, list of other services available for Linux. Give us a call so we may meet and discuss your needs. We can put together a price quote and estimate the time needed to complete your upgrade..
With big projects, we quote the cost and that will be your cost regardless of the the number of hours involved. Typically our customers will pay half to get their project started, and then the remainder once the project is complete. Our quotes are based on actual experience installing systems all around town. We know what it takes to get the job done and we will not take on a project unless we feel we can do the job right and be proud of what we accomplish. In the end, we want our customers to be happy and feel that their computing environment is greatly improved.